Milan is usually defined by the Americans as "the Italian New York", due to both its chaotic and frenetic traffic and ideal place for working and enjoying; it is a city that hides important artistic treasures and, at the same time, it is the very heart of Italian economy, modernity and fashion. This is Milan, a metropolis that does not use half measures! Milan and its hinterland are crossed by the ancient system of fluvial transportation, the Navigli, which represent the ancient agricultural vocation of this area. Furthermore the Navigli show us some picturesque corners of Milan, made up of small houses with balconies, narrow alleys and characteristic views, bridge that step over the channels. The landscape along the five Navigli is characterized by the presence of three Regional Parks of Ticino Valley, Upper Adda and Southern Rural Milan. 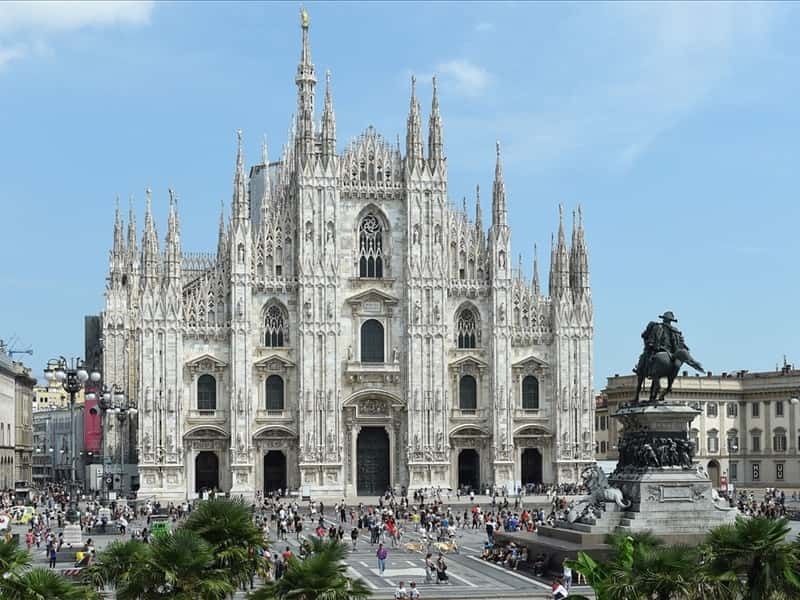 Culinary symbols of this area are: the famous "risotto alla Milanese", the "cotoletta alla Milanese", crescenza cheese, Milan's panettone (a typical Christmas sweet) and the San Colombano DOC wine (either red or white wine). This destination web page has been visited 367,089 times.